Liberals eat America’s body in 5 years. Zoroastrians, use a Dakhma, or 'tower of silence' for their dead. Basically, they drop off their dead, the vultures, crows, and other carrion eaters clean up up the rest. regulating nature can be a messy affair. "I'll peck your bones clean!" Wild animals aren't allowed to die in Europe? How do we know the vultures didn’t push that woman off the cliff? 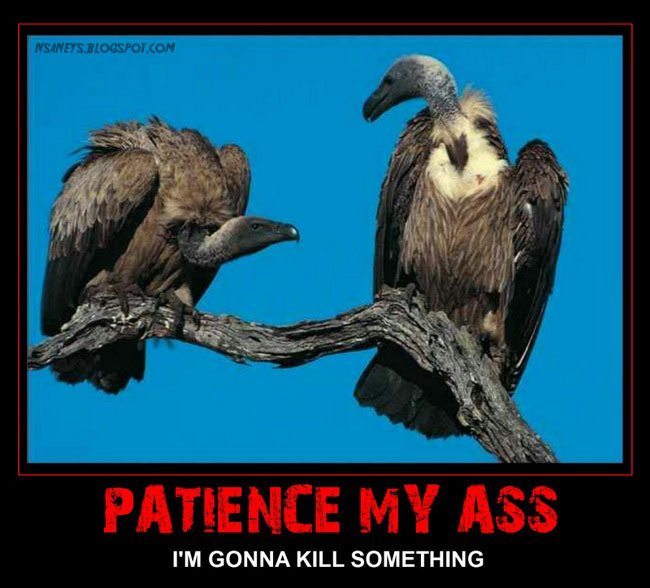 "We saw numerous vultures without realizing what they were doing"? LOL, what do they think vultures do, shop at meat markets? In the regular order, vultures eat dead animals. 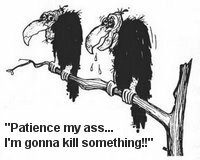 If the French now demand that the dead animals be buried...well, the vultures still have to eat. Good lesson for all the econuts: Don't mess with Mother Nature. You are suspose to WARN us b4 posting any of Helen Thomas’ photos. I spit food all over my deks. Fair enough, but it’s not helping to cut down on easily accessible dead animals. Considering it took only 50 minutes, it doesn’t sound like they shared that opinion.